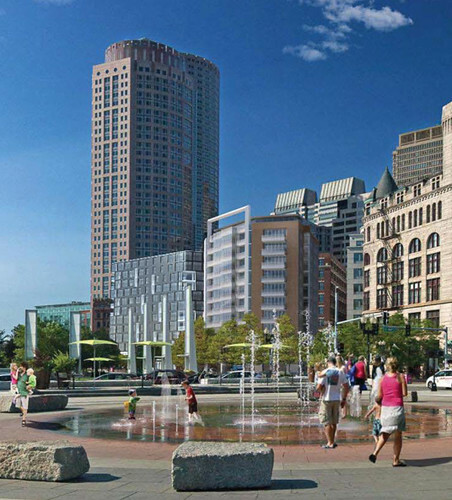 A public meeting for members of the Impact Advisory Group to discuss the proposed development project for 110 Broad St. will be hosted by the Boston Redevelopment Authority on Monday, February 2nd. The development team and members of the BRA will be present at this meeting. This proposed project includes an 83,500 sq. ft. building for residential and retail use. A rendering of the project is seen above. This meeting is being held at the BRA Board Room, 9th Floor, City Hall, from 6 to 7:30 pm. For questions and comments please contact the BRA's Tyler Norod at 617-918-4339 or email him at Tyler.Norod@boston.gov.